Now that the fuzzy glow of WINNING 78 IN A ROW has been sufficiently recognized, I am getting back to the main goal of this blog. I have had this lovely throw blanket earmarked for some time now. 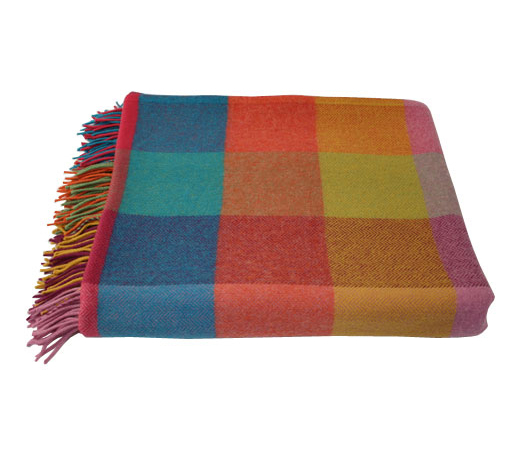 I love the brightly colored plaid and, despite the warming weather, I think this would look wonderful on a cream or white couch. Get one at the British store 'Utility' for £79.95 here. Oh, my my. There are too many things in this world I love and not enough room in my house.